Building fences in Ohio is easier than you think. This post will walk you through a three-step model set up by ActiveYards,the leader in residential and commercial fencing. The process is like 1, 2, 3: Shop, Select, and Install fences in Ohio! 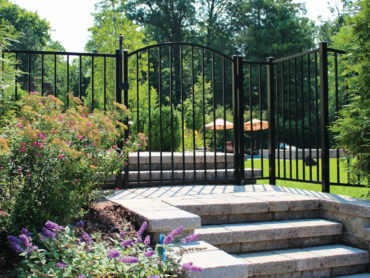 With so many nearby fence companies in Ohio, selecting a fence dealer can be overwhelming. To find the best Ohio fence contractors, look online for reviews at home improvement sources like Home Advisor, Yelp, and Angie’s List. Our recommendation for a fencing dealer in Cincinnati area is Eads Fence.This company has been serving the tri-state area for 30+ years. 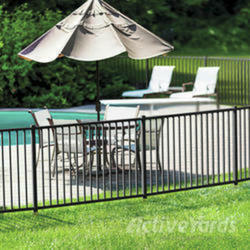 Eads Fence is a certified Active Yards dealer. This company is one of the top fence companies in Ohio. You can rely on testimonials and reviews or ask friends and relatives for a recommendation. Once you have narrowed down the list of fencing contractors, shopping for fences in Ohio can be done a few different ways: At home consultation, order online, or shop at a local showroom. At one time, home consultations were the only way to shop for fences. An at home consultation is when a contractor comes to your property to measure, assess, and tell you what they suggest. Then they give you a quote. This is still a very common way to shop for fences in Ohio, but it’s no longer the only way to get the job done! For many, shopping online is preferred for convenience. Many companies make it easy with a functional online shopping cart, live chats, and/ or online product galleries.Even if you’re ordering online, choose a company in your area. A local contractor can answer questions and help you with buying and installing fences in Ohio. Some Ohio companies offer free online estimates. Even though technology is a great thing, sometimes it’s just better to work with a human To get personal assistance you can visit a fence company showroom. There, you’ll see displays and samples of the different kinds of fences. At a showroom, you can talk directly to knowledgeable experts who will help you with buying fences in Ohio. 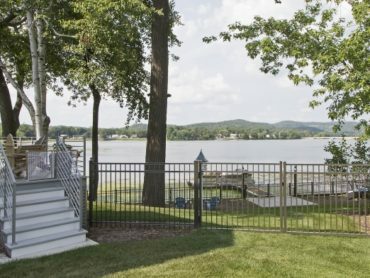 Ohio real estate is booming and with that comes growing demands for more and more options for residential and commercial property fences in Ohio. When selecting the right fence for your yard, consider the following. \What’s the main purpose for buying a fence? What do you need it for? The most common needs for a fence are privacy, security, curb appeal, and safety. There are several materials and designs that are suitable to fulfill each of these purposes. Vinyl fences give both privacy and nice curb appeal. Perhaps you just to give your pets a safe place to play outside, so maybe just a chain link enclosure is all you need. Do you have a pool that needs security around it? Try an aluminum fence. Aluminum fences also come in lovely ornamental designs, too. A big factor in selecting the right fence is the price and how it works with your budget. The size of your fence also plays a big role in the price. Active Yards has three series of fence styles organized around different budgets to make it easier for clients to select. In Ohio, where fence contractors are a plenty, be sure to choose a company that can find a solution for you and your budget without compromising on quality. When making your budget consider the costs of planning, buying materials and installation fees. When choosing a fence, consider how it will hold up to weather and your surroundings. Wind, rain, and sun exposure are weather conditions that impact the amount of maintenance on a fence. While wooden fences provide the most privacy, they also require the most maintenance with staining and painting. 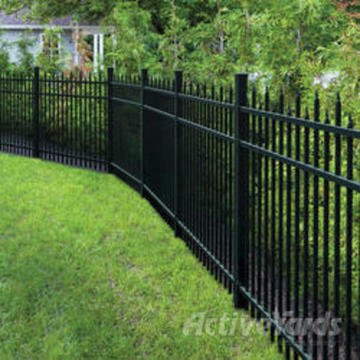 Aluminum fences don’t provide much privacy, but they are sturdy and completely maintenance free. Luckily, Ohio weather is mostly mild, but there are high participation rates. Talk to your area fence contractor about your maintenance and climate concerns to choose the one that works best for your property. The most common choice is to have a professional install new fences in Ohio. Professional installation costs more money, but it also comes with labor warranty coverage. A professional will ease any concerns for codes and building permits. 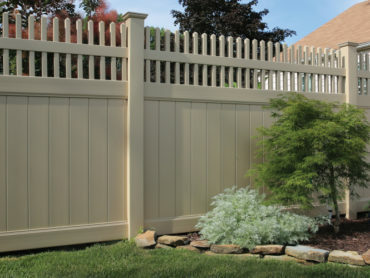 When choosing a fence company to install your fence, get all information about fees, warranty, and time frames up front. Don’t forget to inquire about their clean up policy, especially if you’re replacing an old fence. For those DIYers, putting in your own fence is a money saver as much as it’s an adventure. There are many things to consider and prepare before taking on this project. With many online guides, tips, and how-to videos, installing a fence yourself becomes easier. For starters, you’ll need to follow and obtain Cincinnati fence permits. Talk to your town authorities to make sure you understand the procedure for permits. You can also talk to the fence company that you buy materials from for clarity and further tips. The sky’s the limit when shopping for fences in Ohio. With these tips and guide, you’ll be on your way to having the fence that meets your needs with minimum hassle. 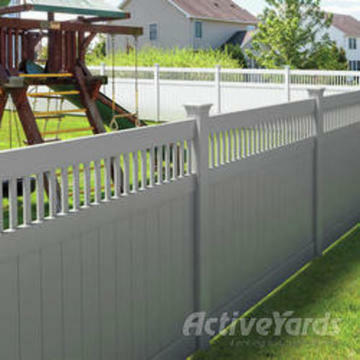 Follow the ActiveYards 3-step program to shop, select, and install fences in Ohio – the easy way!